If you own a Samsung Galaxy S6 phone, or will be purchasing one soon, you’ll be able to get a special card Hearthstone card back. To claim the back for your cards all you need to do is log into Hearthstone while on a Galaxy S6 and you’ll be all set. For those that do not have an S6 laying around, you can get the card back legally by running Android in an emulator set up to pretend it’s an S6. This is doable because the Android operating system is an open source technology, and emulators, along with the device strings needed for testing and development, are publicly available. A good set of instructions on how to do that can be found at NetDeck. Blizzard’s full announcement is after the break. If you already own a Galaxy S6 series phone, or you’re thinking about adding one to your collection, listen up! Starting July 16, players around the world who play Hearthstone® on one of the new Samsung Galaxy S6 series phones will receive three free Classic card packs and a shiny Galaxy Gifts card back. Players who want to pick up their Galaxy Gifts rewards just need to download the mobile version of Hearthstone to their devices from Galaxy Apps or Google Play™ and enjoy the game. Already got a Samsung Galaxy S6? 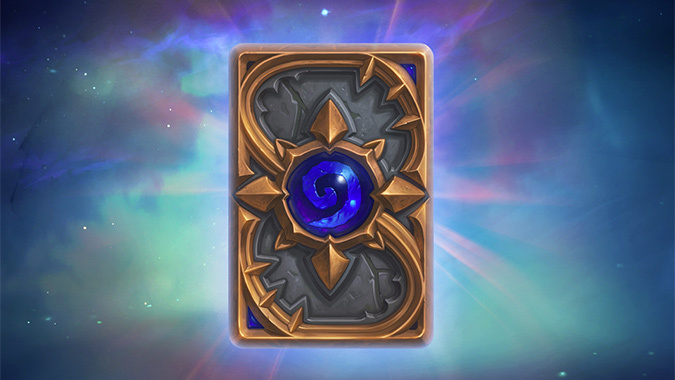 If you’ve already downloaded Hearthstone, completed the tutorial, and created a Hearthstone account, then your rewards should automatically arrive after you log in for the first time after the promotion starts. If you’ve never played Hearthstone before, then you’ll receive your Galaxy Gifts card back and free card packs after you complete the tutorial and create a Hearthstone account using your Galaxy S6. There are no regional restrictions, so you can get your Galaxy Gifts rewards anywhere, but they can only be redeemed once per Battle.net account! Update 10:45am CDT: If you’re having problems getting the emulator, try again later… Their servers are currently overloaded.